To mark International Women’s Day we’d like to celebrate Irish women who are doing amazing things both at home and abroad. We bring you our list of the top 10 talented Irish and Ireland-based women, all of whom are shaping Ireland’s future. These 10 women are not only accomplished business leaders from a diverse set of industries throughout the country, they also have made a difference at numerous charities and in their own communities. Our top 10 are listed in alphabetical order. Why: Helen took up the role of Ireland’s Data Protection Commissioner in 2014 and she is the first woman to hold this position. With some of the biggest tech companies in the world locating their European operations in Ireland, the office is responsible for the protection of the personal data of millions of European citizens. 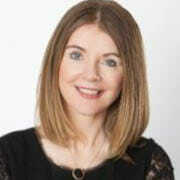 Why: Kathleen started out as a specialist in insolvency law during the last economic downturn, she was heavily involved in the management function of Irish law firm Arthur Cox during the unstable times in 2009. She lives in London and is a partner in Arthur Cox, where she runs run her finance and corporate transactional practice from its London office. In addition, she supports Irish fashion designers broaden their markets outside of Ireland. Why: Recently, Orla Graham was the very worthy recipient of the prestigious HR Leader 2017 at the HR Leadership and Management Awards 2017 ceremony for her outstanding contribution to HR in Ireland. Her expertise combines 18 years working in HR with Marks & Spencer, Coca-Cola and Deloitte. 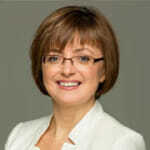 Why: Cathriona is responsible for driving Microsoft’s commercial and consumer business in Ireland. She has seen the company grow to more than 1,500 and it’s set to grow further in the coming months. 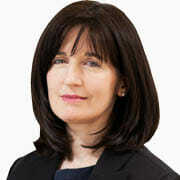 Furthermore, Cathríona represents the company on all strategic policy, corporate affairs and communication issues including overseeing a series of community, education and innovation programmes. 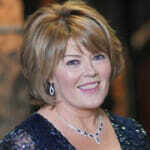 Why: Cathy ranks as one of the country’s most important business figures, heading up Apple’s operations in Cork. Cathy who is a trained accountant has had a number of job titles, including vice president of operations for Apple Distribution International, a role she took up in 2012, and director of operations at Beats Electronic Services, which came after the $3 billion acquisition of the firm in 2014. Why: Nora holds a PhD in molecular evolution and bioinformatics from Trinity College Dublin and was the first scientist to show gene transfer between multi-cellular species. In 2014, she set up Nuritas to develop the future of food. Last year, her start-up won a €3 million research grant from the EU and raised €2 million in funding from major investors. In addition, Nuritas was named one of Europe’s top 10 most innovative start-up companies by the European Commission. Why: Originally from Mullingar, Principal in the PwC Capital Markets team, specialising in effectively delivering large transformation programs at top tier banks. She has over 20 years of experience in running front-to-back programs across divisions at firms such as Goldman Sachs and Morgan Stanley. Also, Gráinne serves on the board of the New York Women’s Foundation (one of the largest funds in the world dedicated to women and girls). Why: Before taking the position of Managing Director of Twitter Ireland late last year, Sinead worked for An Garda Síochana, the PSNI, spent time in politics and held the role of vice president of public policy and communications. Resilience and respect are the two most important things she brings to the leadership role, especially when it comes to supporting diversity in her sector. 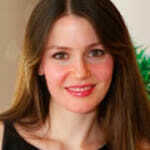 Occupation: PayPal Vice President, Western, Central and Eastern Europe, Ireland, Middle East and Africa. Why: As Vice President, Louise is responsible for growing revenue and customers for PayPal in more than 100 countries, including Ireland, across Europe, the Middle East and Africa. 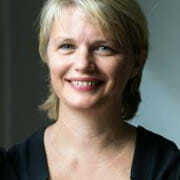 Louise joined PayPal from the senior management team of GE Money in 2006, when PayPal had 200 employees in Ireland. She has overseen growth and expansion with employee numbers currently at more than 2,600 in Dublin and Dundalk and is on track to grow to 3,000 by 2018. Why: Niamh is the youngest person to have held the general manager’s role in Ireland and she is also the first woman to hold the job. She is very passionate about gender balance in the workplace and has been part of a number of initiatives to address the issue. 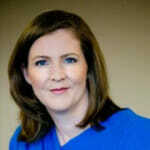 Previous;y, she was the head of Dell’s Enterprise Solution Team, where she was given responsibility for growing this business in Ireland. 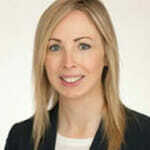 As the leader of Dell’s Irish operations, she has now become one of the most influential figures in the internet of things in Ireland following Dell’s decision to open its first European IoT lab in Limerick.